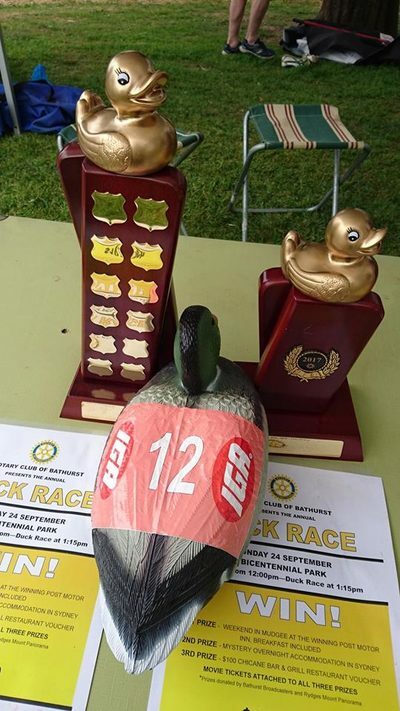 Get involved - your business or organisation might just be The Top Duck of Bathurst! The winner will receive an awesome trophy, $1000.00 advertising in Bathurst City Life and select the local charity that will receive the funds raised. 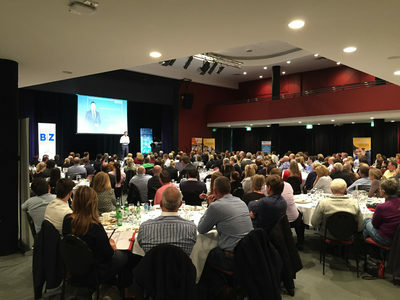 Hosted by Bathurst Business Chamber, finalists will be announced and recognised for all categories in the 2018 Peak Connect Business Awards. Bring along your team and celebrate business excellence in Bathurst. 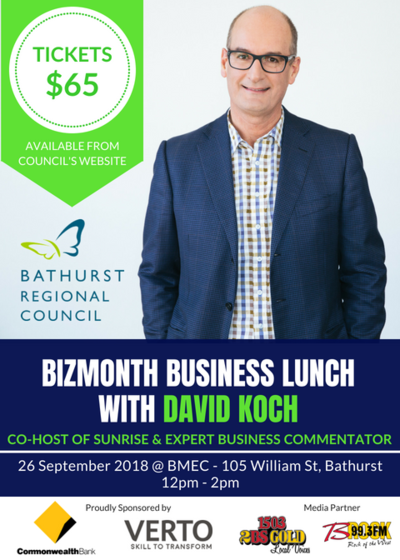 Bathurst Regional Council’s 2018 BizMonth Business Lunch proudly sponsored by Commonwealth Bank will feature David Koch, co-host of Channel Seven’s Sunrise Program and expert business commentator. Cost: OBTA Member - $60, BBC Member - $60, Non OBTA or BBC Member - $70. The Bathurst Business Chamber and Oberon Business & Tourism Association invite you to an evening with Kate Carnell, Australian Small Business and Family Enterprise Ombudsman, at the beautiful Mayfield Garden. The evening will provide guests with an opportunity to hear from Ms Carnell, as well as network with business professionals from the Bathurst and Oberon regions. On arrival guests will be treated to a drink in the Wood Fire Garden, followed by dinner in the picturesque Nursery Gallery.